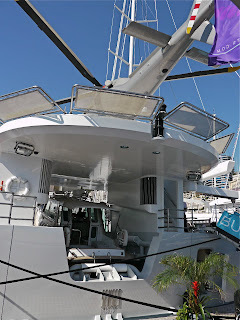 Monte Carlo Weekly Photo: Monaco Yacht Show - The Boat within a Boat! 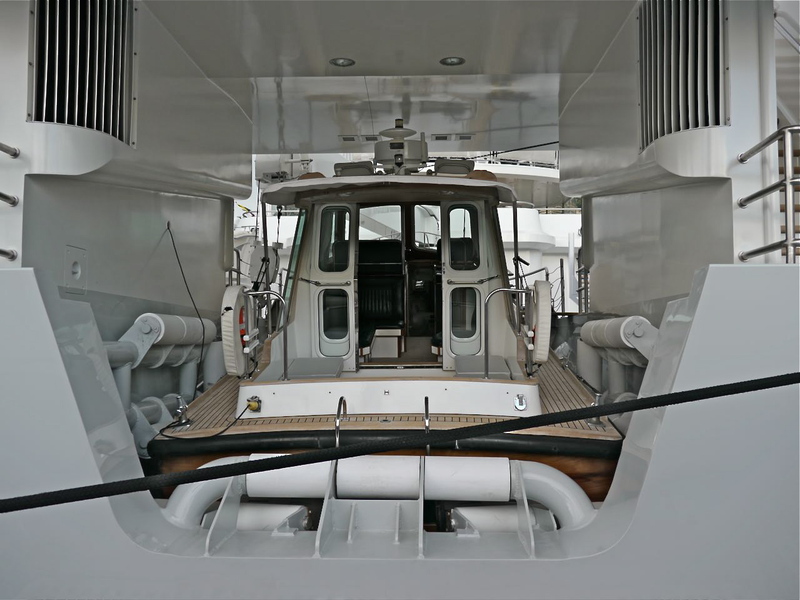 This yacht had more boys' toys on it than you could imagine. A boat within a boat as you see. Apparently it launches at the touch of a button. On top a plane. On the side are several other smaller craft. 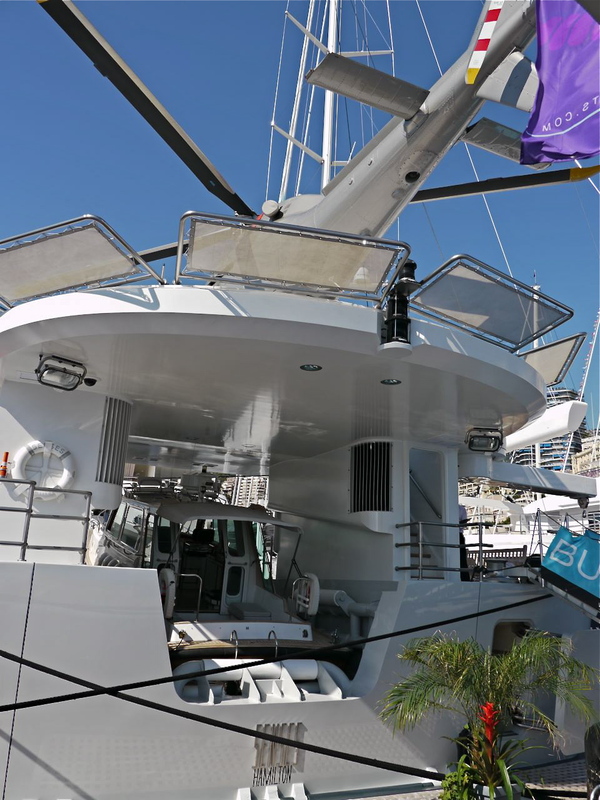 This yacht is called 'Senses' and is 59.20 m long. Click on the link to read more and to see photos of this yacht at sea. Asking price: 35 million euros. 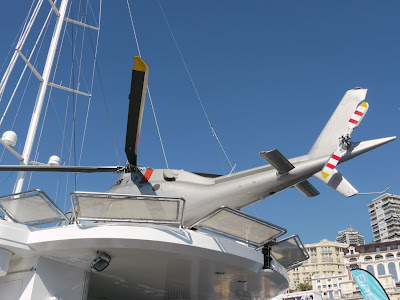 I guess this makes the people who merely have one yacht, without a boat inside and a helicopter on the top, feel deprived.